Wasps fly-half Danny Cipriani will complete his incredible recovery from a serious ankle injury on Wednesday after being named in the side to face Bath. The 20-year-old England star has been sidelined since suffering a fractured ankle dislocation against Bath in May and was expected to return in November. 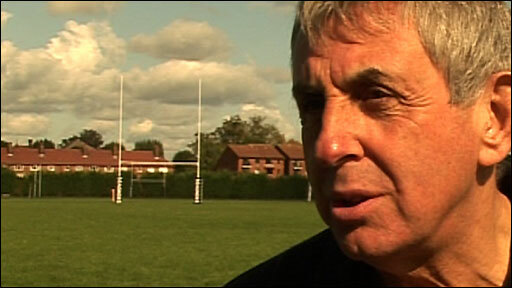 "Danny has made a fantastic recovery six weeks ahead of schedule," said Wasps rugby director Ian McGeechan. "We are delighted to see him back out on the pitch." McGeechan added: "His attitude has been superb and the work of the support staff at the club in ensuring this has been very impressive. "We hope that he is able to enjoy his return to action in front of a home crowd." The return of Cipriani, regarded as one of England's most talented young players, is a huge boost for the defending Guinness Premiership champions, who earned their first win of the season at the fourth attempt against Leicester on Friday. His comeback is all the more timely following the latest injury to England fly-half Jonny Wilkinson, which could rule the Newcastle star out of the November internationals. Cipriani's injury, which happened when he was trapped at the bottom of a ruck after being tackled by Olly Barkley, was regarded as career threatening. "I can't wait to get out there, it'll be great," Cipriani told BBC Radio 5 Live. "When I'm running or stepping the ankle feels 100%. I"m not yet match-fit, but that is what I need to work towards in the next couple of weeks." The fact his return is against the same opposition is not lost on Cipriani either. "It's going to be emotional," he said. "I will have to calm myself as I'll be very excited to play again. "It's a bit strange how coincidence throws these things up, but it'll be good just to get back. "I've done four full-on sessions in preparation for this comeback, and four sessions before that warming into the full-contact ones, and I feel really confident in the ankle. "The only time the ankle feels stiff is in the morning when I wake up - it takes me about two minutes to warm it up and it feels like an old man's ankle - but after that it's fine." Cipriani has been working with Margot Wells, the wife of the 1980 Olympic 100m champion Allan, at the Surrey Centre for Sport during his recovery, and she says he is faster, fitter and stronger in the tackle than he was before the injury. 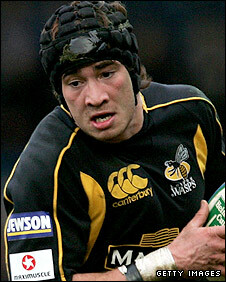 But McGeechan has warned Wasps fans not to expect too much of Cipriani too quickly. "We are playing a very in-form Bath side who are playing some very good rugby and we have to manage the expectations around that, and Danny's," he added. "We want to give him some game time as we see it as the last step in his rehabilitation. But Danny will need some time to get back to where he was in May and we have to give him that time. "Realistically I wouldn't expect him to be really on top of his game, certainly without two or three matches under his belt." After Wednesday, Wasps face Gloucester at Kingsholm on Saturday in the EDF Energy Cup before opening their Heineken Cup campaign against Castres on 12 October. In all, Cipriani has six potential matches before England begin their autumn Test programme, and, following Wilkinson's latest injury, he could be in line for a dramatic recall if he proves his form and fitness. The youngster was not included in England manager Martin Johnson's initial Elite Player Squad, from which the senior team for the November Tests has to be chosen, because he was not expected to be fit. He was named in the second-string Saxons squad instead and Johnson could decide to promote him into the squad for the matches against the Pacific Islanders, Australia, South Africa and New Zealand. For his part, Cipriani insists an international return "was never my focus", aware he must first reclaim the Wasps number 10 shirt, with Jeremy Staunton scoring 23 points in their win against Leicester. "I just want to try to be a positive influence on the team and get them moving forward as much as I can," said Cipriani. "Jeremy played fantastically well last time out so I've got my work cut out here at Wasps to get back at fly-half. "But I just want to get back to where I was last season and do so with a smile on my face." Cipriani burst to prominence with some stellar displays for his club which saw him claim the Professional Rugby Players' Association Young Player of the Year award. He earned his first England cap as a replacement in the Six Nations match against Wales and starred on his first start against Ireland after replacing World Cup hero Wilkinson at fly-half. But the sickening injury in the play-off victory at Adams Park saw him miss Wasps' Premiership final victory over Leicester and England's summer tour to New Zealand. Listen to Wasps v Bath live on BBC local radio and the BBC Sport website, Wednesday 1 October, 1930 BST.